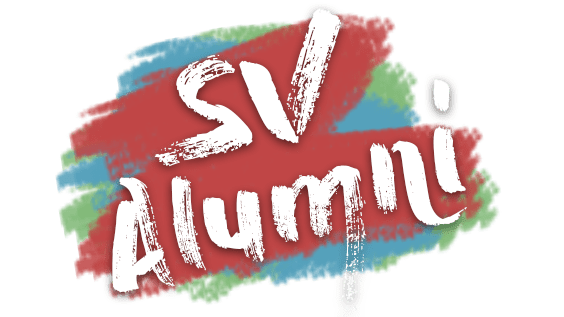 We are excited to be offering Sustainable Vocations this year in a brand new format: as Seeds of Sustainable Vocations, a 10-day intensive for youth ages 16-20 years old. 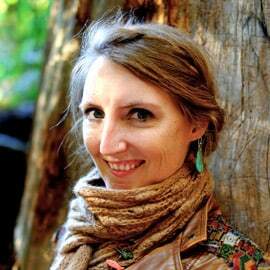 This program centers on ecology, justice, community, personal expression, and fun! Seeds includes hands-on skills, small group mentorship, and an integrated project where each student will get a chance to share what they’ve learned. This summer we will play, sing, make art, feast and collaborate! Come join a community of youth from all over to learn, adventure, and co-create. We’ll dive into shared projects on the land, explore justice, hone our communication, and flex our creative muscles as a team. We will grow our connections to the land, people and ourselves as we practice telling our stories. At Seeds, every day will include time out on the land. 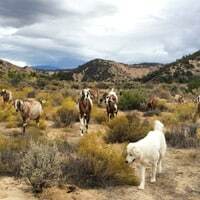 Whether we’re learning animal husbandry by milking our goat herd, hiking to the top of our watershed, or exploring how to steward the places we live, we will develop our senses as people connected to a place. Imagine planting a food forest, picking salad for tonight’s dinner, or tending our flock of chickens. We love hands-on learning! These experiential skills can include wild crafting, fire by friction, animal tracking, bird language, cooking from the farm, basketry, natural dyeing, herbalism, drawing, the way of council, song, storytelling and natural building. We’ll work side by side to craft, have fun, and connect in new ways. 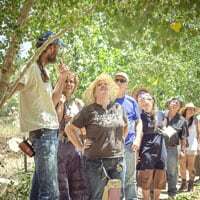 Quail Springs is a leading environmental educational nonprofit that empowers students of all ages and backgrounds with knowledge, skills, and inspiration essential to cultivating ecological and social health. 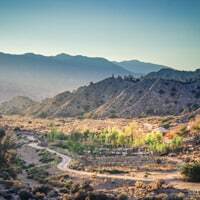 As stewards of a 450-acre, high desert permaculture farm and conservation site, we teach strategies and techniques instrumental for designing resilient environments and creating healthy and culturally vibrant communities. 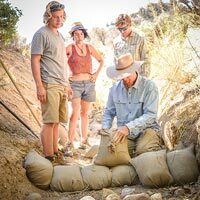 Quail Springs is a collective of onsite educators, farmers, ecologists, natural builders, chefs, artists, and other talented team members, connected to expansive local and international networks of leading-edge practitioners and passionate change-makers. 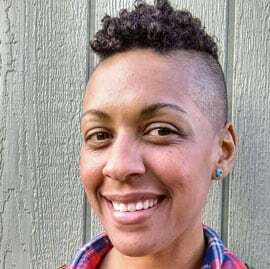 Samantha Wilson has a Masters Degree in Divinity from Claremont School of Theology and is a Ph.D Candidate at Pacifica Graduate Institute in Depth Psychology, specializing in Community Psychology, Liberation Psychology, and Ecological Psychology. She co-founded Child Leader Project, a transnational youth organization supporting youth-led community organizing circles in Southern California and South India. 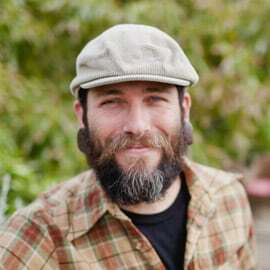 Daniel Aaron Francis is a regenerative designer, educator, rites-of-passage guide, storyteller, fly-fisherman, musician and tracker. He hails from the Santa Ana River Watershed, 5 generations deep. He has dedicated the past 20 years to designing and installing regenerative community gardens, orchards, farms and residential homes with a focus on dry-lands water harvesting. Seeds of Sustainable Vocations is a program for youth ages 16-20, designed to dive deep into the intersections of community, justice, ecology, and self-expression. We foster and encourage the innate creative and resilient potential of young people who are concerned with the issues we all face in a rapidly changing and challenging world. Through this immersive 10-day experiential program, we help youth recognize their own gifts, and provide new insights and tools towards creating a more sustainable, just, and hopeful world. The majority of our students are in need of scholarships, and YOUR generosity makes this program possible! From our heart to yours, we thank you. Course Tuition:$1,400 – $2,200 Sliding Scale (deposit of $250 reserves your space in the program once you are accepted with the balance due by June 1st). Sliding Scale means you select the amount within this range that is possible for your family to contribute. Additional scholarships are available. Tuition Includes:instruction, course materials, 3 farm-fresh meals a day, transportation to field trip sites, camping accommodations, immersion in Quail Springs community life, mentoring support, alumni network, invitation to advanced trainings, access to job & internship resources and more. Payment Plans: Payment plans are available after a deposit is made, contact us below for more information. Group Discounts: We are actively seeking organizational partners who work with youth and wish to send groups of students from their home communities. Groups of 3 or more attending the course together, please click here to contact us. We offer generous scholarships to those who have high financial need. Scholarship awards are based on income, resources, student commitment, and ability to share skills learned with students’ home communities. We work with all students who would like to attend the program to make it financially accessible. 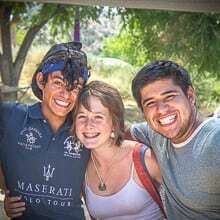 We actively support diverse young people in bringing their unique perspectives to this program through additional financial support as needed. We welcome and support as needed those self-identifying as persons of color, LGBTQ+, indigenous youth, and youth who have highly limited finances. 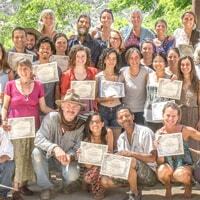 We deeply value and support equitable access to social & ecological justice education. We recognize the need to support diversity, equity, and allyship as core pillars of regenerating a healthy world community. The aim of our scholarship program is to grow connections between diverse young leaders, build bridges, push edges, and inspire each other to tend both our personal and ecological well-being. Before May 1, 2019: Full refund, excluding $100 cancellation fee. May 1 – June 1, 2019: Partially Refundable, $250 deposit non-refundable. After June 1, 2019: No refunds available. In case of a valid personal medical or family emergency, we will consider requests for a transfer of fees (less course deposit) to another course(s) with Quail Springs.